So I have been back for one week now and life has just been a whirlwind of unpacking, laundry, getting settled back into “reality,” a photo shoot, culling and editing images, communicating with clients, seeing family and friends, lunches, dinners, blogging, etc. In between “life” I have been trying to go through my images from Greece…and well I’ll be honest I’m not trying to start editing them, because I still have to finish editing my Tokyo and Seoul images…haha!!! 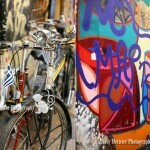 But I am trying to mentally pick out the ones that I want to edit for my future blog posts/recaps about Greece. When it comes to editing my images from my travels I really do wish I had more time in a day to get that done as well too…ack!!! I am thinking about making a calendar to “schedule” in my editing for my personal images and travels. It’s on my “to do” list!!! Anyways, back to my topic of choice for today…Santorini and some traveling pants. Santorini has been a place that I have been longing to see!!! I LOVE the movies The Sisterhood of The Traveling Pants partly because it’s cute and partly because it took place in Santorini!!! While walking around Oia, Santorini I was on the lookout for familiar sightings from the movies as well as picturesque “Greek” scenes that I could photograph. 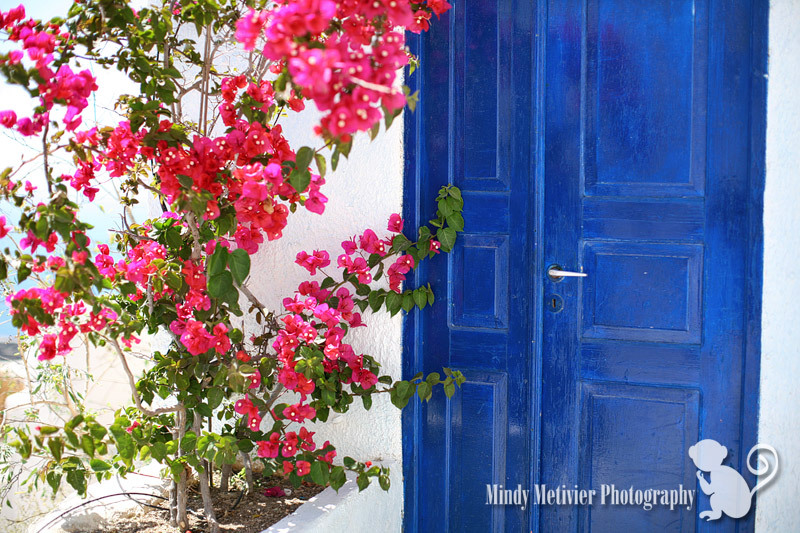 I came across this beautiful blue door. It reminded me of the door to Lena’s grandparent’s home in the movie. So of course I had to photograph the door as well as photograph myself at the door. I know DORK!!! But who knows when I’ll ever get back to Greece?!?! When I got home, I couldn’t wait to re-watch the movies and see if the door I saw in Santorini was really the door in the movie…and guess what?!?!? I am pretty sure…like 98% sure that this is the same door!!! The way the movie was shot and from certain angles, it seems to match up with my images and from what I remember of the door. 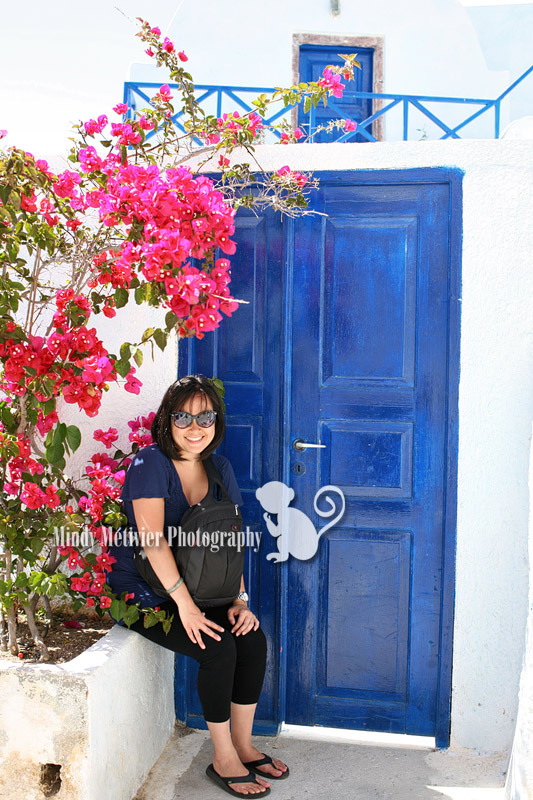 So yes, people…I am going to say that THIS WAS THE DOOR used in the movie The Sisterhood of the Traveling Pants!!! How fun is that?!?! 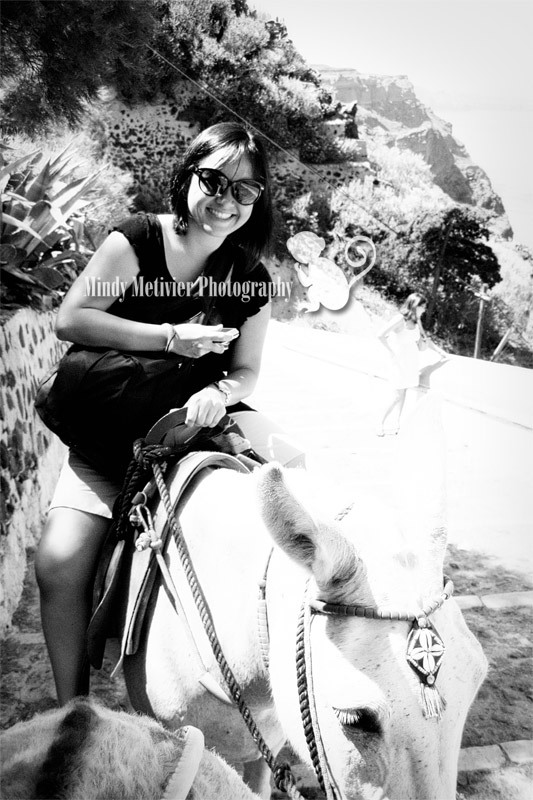 And here I am riding a donkey in Fira, Santorini (just like the movie). I was a little nervous since we got sent up the mountain with no guide!!! We were put on the donkeys with a little pat to the donkey’s behind and off we went!!! Aaaack!!! And there are no reins so I had no clue how to guide my donkey. He/she just basically went up on his/her own…good thing he/she knew where he/she was going and wasn’t a wild one!!! The last thing I wanted to do was fall off a donkey onto concrete and stone steps covered in donkey poop!!! i’m still hungover on greece!!! i’d love to go back there again. well, not mykonos lol. but paros was also nice. very quiet and peaceful island. and the people are so nice. sure thing, when i post my other blogs about it 🙂 . you were right about the steps. it was slippery! haha and i totally forgot about bringing flip flops that has those killer grips. i kept wearing flip flops since mykonos, then in paros so when we got to santorini, i hada blister already, right in the area where the thong would be. so i had to get sandals that doesn’t have thong. we found some greek sandals in oia got some hehe. so i’ve been using it in santorini and athens 🙂 hehe yeah 100 steps was a challenge. the steep ones especially. hhaha! hi mindy! i just got back from greece. well last monday. we had a great time!!!! and santorini is sooo beautiful. we had a late lunch at that castro resto, and then as we went down, i realized where it was heading!!!! the door, the door!!! i actually let out a squeal hehe. as we were taking pics, two more girls just got there and they let out a squeal. hehe. they painted the house a bit. it’s not all white anymore. 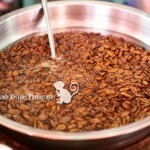 i hope you can see this link. i’m not sure if it’s set as private. No there weren’t a lot of people taking photos by the door which is why I could stand there and take a bunch of photos 🙂 Haha!!! Actually there was maybe one group of girls and that’s it 🙂 After that it was just me and my friend. Santorini…we rode the donkeys-just once 🙂 It was fun, I was nervous since we went up without a guide, but it ended up being okay. 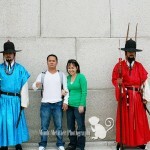 We walked around, shopped, ate, people watched, explored and took lots of photographs. We also went to Mykonos and Delos. The rest of the trip was spent on the mainland of Greece. Oh and be careful walking around Greece. The walkways, steps, etc. are pretty slippery!!! Be careful walking up and down the stairs because those are quite slippery too!!! thanks mindy! that’s a lot of help! i keep looking online on how to look for the sisterhood door! although people say it’s easy to find when you get there. hehe. but thanks for the direction, cuz that helps a lot! :). were there people having their pics taken at that door? was there a lot? we can’t wait to go! the photos, the food, the people, myohmy!!! SO EXCITED :P. what else did you do in santorini? did you go to other islands as well? we’re going to paros, too, besides santorini and mykonos. i wanted to go to that island where they shot mama mia. breathtaking! but it’s not in the cyclades, it’s on the other side of the map. oh well. the islands we’re going to aint shabby at all! btw i saw your profile, i see you live in hawaii? wow. that must be a lot of fun!!!!! Yay!!! I’m so happy that you are going to Greece!!! That’ll be super nice!!! 🙂 I’m excited for you!!! Buses are super easy. The towns in Santorini are super small and there is only one bus station in each town where all the buses gather. All you need to know is which number bus you’re going on, buy your ticket and board. I think depending on the time of day buses can be crowded. There is a last bus…so you would want to pick up the bus schedule. If you miss the last bus, you can always catch a cab. There are a bunch of cabs, they’re just pricier than catching the bus. I will definitely check out travbuddy.com Thanks so much for the tip!!! Enjoy your time in Greece!!! i forgot to ask about the buses. we figured we’ll just catch the bus. is it hard to get to one or it wasn’t hard all? in terms of it being crowded or late? hi mindy! thanks for the tip! we have finally booked out trip :). we’re going in late august. we’ll be staying in an apartment in oia. major steps ahead but it’s ok, we’ll finally get to say hey we were in santorini and we had to walk all those steps to get to oia! haha. we opted for an apartment since it’s cheaper than hotels. the hotels have rates that are way too steep. i think their rates are made of gold ;). how did you find that particular door in sisterhood? did it say helios from across that blue door? i noticed the house across from that one, it said helios on the wall, i think. i’ll definitely check out your other blogs! btw, if you love travelling, come join us at travbuddy.com. we share photos, blogs, tips, and some people travel with other members, and get togethers. i just post blogs hehe. but the travbuddy get togethers seem like fun and people there are pretty cool. wow that is sooo exciting! i, too, am going to santorini, possibly this summer. well actually, my friend and i are going to athens, mykonos and santorini. we’d love to check out the other islands, but these would be our destination for now. we’ve been wanting to go for the longest time! 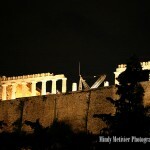 and when the riots happened two years ago in athens, i thought i’d wait a while before i go. 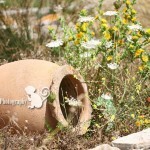 i stumbled upon your site while looking at sisterhood infos in oia. how was oia? where did you stay? we’re on the verge of looking up details, where to stay and all that. thank you and what a great experience you had! 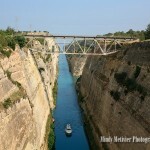 Yes, Kristie one day you will get to Greece as well. You should definitely wait until the turmoil has settled. Lee Ann, I am riding a donkey. Sonya, I know I really am as dorky as my sister…but in my own unique and artistic way…haha!!! your deep down a dork like your sister….expect you stock doors not vampires. Is that a horse or a mule?